Nine subspecies of Eurasian hoopoe are recognised by Kristin (in the 2001 Handbook of the Birds of the World). They vary mostly in size and the depth of colour in the plumage. One further subspecies is suggested- U. e. orientalis in north western India. U. e. epops in Galicia, Spain. The Eurasian hoopoe is a medium-sized bird, 25–32 cm (9.8–12.6 in) long, with a 44–48 cm (17–19 in) wingspan. It weighs 46–89 g (1.6–3.1 oz). The species is highly distinctive, with a long, thin tapering bill that is black with a fawn base. The strengthened musculature of the head allows the bill to be opened when probing inside the soil. The hoopoe has broad and rounded wings capable of strong flight; these are larger in the northern migratory subspecies. The hoopoe has a characteristic undulating flight, which is like that of a giant butterfly, caused by the wings half closing at the end of each beat or short sequence of beats. Adults may begin their moult after the breeding season and continue after they have migrated for the winter. The call is typically a trisyllabic oop-oop-oop, which may give rise to its English and scientific names, although two and four syllables are also common. An alternative explanation of the English and scientific names is that they are derived from the French name for the bird, huppée, which means crested. In the Himalayas, the calls can be confused with that of the Himalayan cuckoo (Cuculus saturatus), although the cuckoo typically produces four notes. Other calls include rasping croaks, when alarmed, and hisses. Females produce a wheezy note during courtship feeding by the male. Both sexes, when disturbed, call a rough charrrrrr, strongly reminiscent of the warning cry of the Eurasian jay. The food begging call of the nestlings is similar to that of a common swift: tiiii. The Eurasian hoopoe is widespread in Europe, Asia, and North Africa and northern Sub-Saharan Africa. Most European and north Asian birds migrate to the tropics in winter. In contrast, the African populations are sedentary all year. The species has been a vagrant in Alaska; U. e. saturata was recorded there in 1975 in the Yukon Delta. Hoopoes have been known to breed north of their European range, and in southern England during warm, dry summers that provide plenty of grasshoppers and similar insects, although as of the early 1980s northern European populations were reported to be in the decline, possibly due to changes in climate. The hoopoe has two basic requirements of its habitat: bare or lightly vegetated ground on which to forage and vertical surfaces with cavities (such as trees, cliffs or even walls, nestboxes, haystacks, and abandoned burrows) in which to nest. These requirements can be provided in a wide range of ecosystems, and as a consequence the hoopoe inhabits a wide range of habitats such as heathland, wooded steppes, savannas and grasslands, as well as forest glades. Hunting is of concern in southern Europe and Asia. Hoopoes make seasonal movements in response to rain in some regions such as in Ceylon and in the Western Ghats. Birds have been seen at high altitudes during migration across the Himalayas. One was recorded at about 6,400 m (21,000 ft) by the first Mount Everest expedition. The diet of the Eurasian hoopoe is mostly composed of insects, although small reptiles, frogs and plant matter such as seeds and berries are sometimes taken as well. It is a solitary forager which typically feeds on the ground. More rarely they will feed in the air, where their strong and rounded wings make them fast and manoeuvrable, in pursuit of numerous swarming insects. More commonly their foraging style is to stride over relatively open ground and periodically pause to probe the ground with the full length of their bill. Insect larvae, pupae and mole crickets are detected by the bill and either extracted or dug out with the strong feet. Hoopoes will also feed on insects on the surface, probe into piles of leaves, and even use the bill to lever large stones and flake off bark. Common diet items include crickets, locusts, beetles, earwigs, cicadas, ant lions, bugs and ants. These can range from 10 to 150 mm in length, with a preferred prey size of around 20–30 mm. Larger prey items are beaten against the ground or a preferred stone to kill them and remove indigestible body parts such as wings and legs. The hoopoe genus is monogamous, although the pair bond apparently only lasts for a single season, and territorial. The male calls frequently to advertise his ownership of the territory. Chases and fights between rival males (and sometimes females) are common and can be brutal. Birds will try to stab rivals with their bills, and individuals are occasionally blinded in fights. The nest is in a hole in a tree or wall, and has a narrow entrance. It may be unlined, or various scraps may be collected. The female alone is responsible for incubating the eggs. Clutch size varies with location: Northern Hemisphere birds lay more eggs than those in the Southern Hemisphere, and birds at higher latitudes have larger clutches than those closer to the equator. In central and northern Europe and Asia the clutch size is around 12, whereas it is around four in the tropics and seven in the subtropics. The eggs are round and milky blue when laid, but quickly discolour in the increasingly dirty nest. They weigh 4.5 grams. A replacement clutch is possible. The incubation period for the species is between 15 and 18 days, during which time the male feeds the female. Incubation begins as soon as the first egg is laid, so the chicks are born asynchronously. The chicks hatch with a covering of downy feathers. By around day three to five, feather quills emerge which will become the adult feathers. The chicks are brooded by the female for between 9 and 14 days. The female later joins the male in the task of bringing food. The young fledge in 26 to 29 days and remain with the parents for about a week more. Hoopoes show hatching asynchrony of eggs which is thought to allow for brood reduction when food availability is low. Hoopoe (דוכיפת) in Israel. The hoopoe is Israel's national bird. The diet of the Eurasian hoopoe includes many species considered by humans to be pests, such as the pupae of the processionary moth, a damaging forest pest. For this reason the species is afforded protection under the law in many countries. 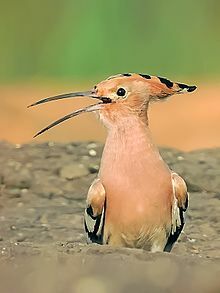 In the Torah, Leviticus 11:13–19, hoopoes were listed among the animals that are detestable and should not be eaten. They are also listed in Deuteronomy (14:18) as not kosher. 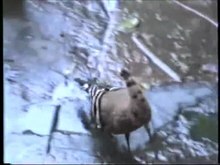 Hoopoes also appear in the Quran and is known as the "hudhud" (هدهد), in Surah Al-Naml 27:20–22: "And he Solomon sought among the birds and said: How is it that I see not the hoopoe, or is he among the absent? (20) I verily will punish him with hard punishment or I verily will slay him, or he verily shall bring me a plain excuse. (21) But he [the hoopoe] was not long in coming, and he said: I have found out (a thing) that thou apprehendest not, and I come unto thee from Sheba with sure tidings." The hoopoe is the king of the birds in the Ancient Greek comedy The Birds by Aristophanes. In Ovid's Metamorphoses, book 6, King Tereus of Thrace rapes Philomela, his wife Procne's sister, and cuts out her tongue. In revenge, Procne kills their son Itys and serves him as a stew to his father. When Tereus sees the boy's head, which is served on a platter, he grabs a sword but just as he attempts to kill the sisters, they are turned into birds—Procne into a swallow and Philomela into a nightingale. Tereus himself is turned into an epops (6.674), translated as lapwing by Dryden and lappewincke (lappewinge) by John Gower in his Confessio Amantis, or hoopoe in A.S. Kline's translation. The bird's crest indicates his royal status, and his long, sharp beak is a symbol of his violent nature. English translators and poets probably had the northern lapwing in mind, considering its crest. ^ BirdLife International (2012). "Upupa epops". IUCN Red List of Threatened Species. Version 2013.2. International Union for Conservation of Nature. Retrieved 26 November 2013. ^ a b c d e f g h i j k Kristin, A (2001). "Family Upupidae (Hoopoes)". In Josep, del Hoyo; Andrew, Elliott; Sargatal, Jordi. Handbook of the Birds of the World. Volume 6, Mousebirds to Hornbills. Barcelona: Lynx Edicions. pp. 396–411. ISBN 978-84-87334-30-6. ^ a b Ali, S.; Ripley, S. D. (1983). Handbook of the Birds of India and Pakistan. Volume 4 (2nd ed.). Oxford University Press, New Delhi. pp. 124–129. ^ Reichlin, Thomas; Michael Schaub; Myles H. M. Menz; Murielle Mermod; Patricia Portner; Raphaël Arlettaz; Lukas Jenni (2008). "Migration patterns of Hoopoe Upupa epops and Wryneck Jynx torquilla: an analysis of European ring recoveries" (PDF). Journal of Ornithology. 150 (2): 393. doi:10.1007/s10336-008-0361-3. Archived from the original (PDF) on 2014-05-27. ^ Dau, Christian; Paniyak, Jack (1977). "Hoopoe, A First Record for North America" (PDF). Auk. 94 (3): 601. ^ a b Heindel, Matthew T. (2006). Jonathan Alderfer, ed. Complete Birds of North America. National Geographic Society. p. 360. ISBN 978-0-7922-4175-1. ^ a b c d e f Pforr, Manfred; Alfred Limbrunner (1982). The Breeding Birds of Europe 2: A Photographic Handbook. London: Croom and Helm. p. 82. ISBN 978-0-7099-2020-5. ^ Soper, Tony (1982). Birdwatch. Exeter, England: Webb & Bower. p. 141. ISBN 978-0-906671-55-9. ^ Champion-Jones, RN (1937). "The Ceylon Hoopoe (Upupa epops ceylonensis Reichb.)". J. Bombay Nat. Hist. Soc. 39 (2): 418. ^ a b c d e Fry, Hilary C. (2003). Christopher Perrins, ed. Firefly Encyclopedia of Birds. Firefly Books. p. 382. ISBN 978-1-55297-777-4. ^ a b c Harrison, C.J.O. ; Christopher Perrins (1979). Birds: Their Ways, Their World. The Reader's Digest Association. pp. 303–304. ISBN 978-0-89577-065-3. ^ Martín-Vivaldi, Manuel; Palomino, José J.; Soler, Manuel (2004). "Strophe Length in Spontaneous Songs Predicts Male Response to Playback in the Hoopoe Upupa epops". Ethology. 110 (5): 351–362. doi:10.1111/j.1439-0310.2004.00971.x. ^ Martín-Platero, Antonio M.; et al. (2006). "Characterization of Antimicrobial Substances Produced by Enterococcus faecalis MRR 10-3, Isolated from the Uropygial Gland of the Hoopoe (Upupa epops)". Applied and Environmental Microbiology. 72 (6): 4245–4249. doi:10.1128/AEM.02940-05. PMC 1489579. PMID 16751538. ^ Hildebrandt, B.; Schaub, M. (2018). "The effects of hatching asynchrony on growth and mortality patterns in Eurasian Hoopoe Upupa epops nestlings". Ibis. 160 (1): 145–157. doi:10.1111/ibi.12529. ^ Battisti, A; Bernardi, M.; Ghiraldo, C. (2000). "Predation by the hoopoe (Upupa epops) on pupae of Thaumetopoea pityocampa and the likely influence on other natural enemies". Biocontrol. 45 (3): 311–323. doi:10.1023/A:1009992321465. ^ Marshall, Amandine (2015). "The child and the hoopoe in ancient Egypt". Kmt. 72 (26.1): 59–63. ^ Smith, Margaret (1932). The Persian Mystics 'Attar'. New York: E.P.Dutton and Company. p. 27. ^ Dupree, N (1974). "An Interpretation of the Role of the Hoopoe in Afghan Folklore and Magic". Folklore. 85 (3): 173–93. doi:10.1080/0015587X.1974.9716553. JSTOR 1260073. ^ Garth, Samuel; Dryden, John; et al. "'Metamorphoses' by Ovid". ^ Book 5, lines 6041 and 6046. Gower, John (2008-07-03). Confessio Amantis. Project Gutenberg. Retrieved 2009-02-17. ^ Kline, A.S. (2000). "The Metamorphoses: They are transformed into birds". Archived from the original on 2007-07-11. Retrieved 2009-02-17. ^ Reuters (May 29, 2008). "Day in pictures". San Francisco Chronicle. ^ "Hoopoe Israel's new national bird". ynet. Wikimedia Commons has media related to Upupa epops. "Hoopœ" . Collier's New Encyclopedia. 1921. "Hoopoe" . Encyclopedia Americana. 1920. This page was last edited on 7 April 2019, at 14:50 (UTC).